Local mechanic shot, killed by stray bullet in Philadelphia. Annie McCormick has more on Action News at 11 p.m. on April 11, 2019. 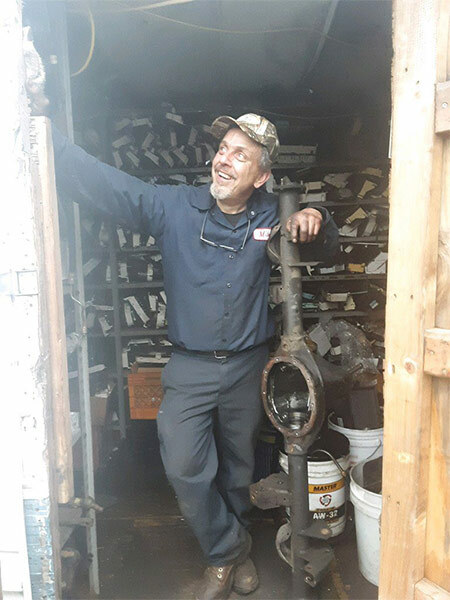 PHILADELPHIA (WPVI) -- A mechanic working on a car at his family's auto body shop in Philadelphia was killed when a stray bullet struck him in the stomach, police said. It happened around 3 p.m. Thursday on the 4800 block of Benner Street in the Wissinoming section of the city. Police said two rival groups fighting over drugs fired at least 15 shots on the block. The victim, identified as 56-year-old Michael Gleba, was not involved in the shootout, but was working nearby. Officers took him to the hospital after he was hit by the stray bullet. He was pronounced dead a short time later. Local mechanic shot, killed by stray bullet in Philadelphia. Chopper 6 over the scene on April 11, 2019. Police executed a search warrant at two homes on the block that may be connected to the shooters. The suspects remain on the loose. Authorities believe one of the shooters may have been shot during the gunfire. Police are stepping up patrols in the area hoping to gain the community's trust so that they can get help solve this case. Gleba was known in the Wissinoming neighborhood for his kindness. Residents said he often fixed their cars for free. "A great guy, caring, (he would) give you the shirt off his back," said resident Paul Britton. Tiffaney Heron said she just spoke with Gleba on Wednesday, one day before the deadly shooting. "We were laughing, giggling at his shop. So I said I would see him later. I feel sorry for his family," said Heron.